We are now into Week Two of this year’s World Cup, hosted by Brazil. Maybe, like most Americans, you just aren’t into it. Personally, I’m excited by the non-stop world-class soccer that is being played over the next few weeks. All that national pride! All that amazing play! All those hot players! And USA winning their first game!!! 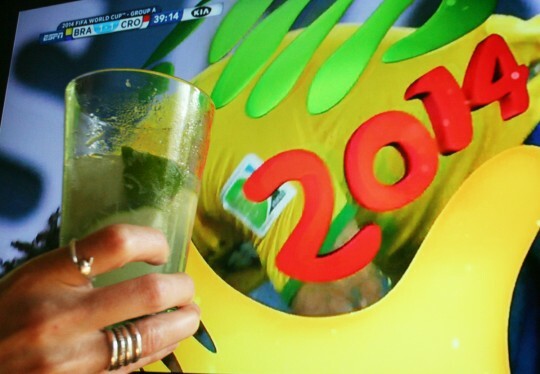 I think the best way to celebrate this year’s World Cup in Brazil is to sip the official cocktail of Brazil – the Caipirinha. 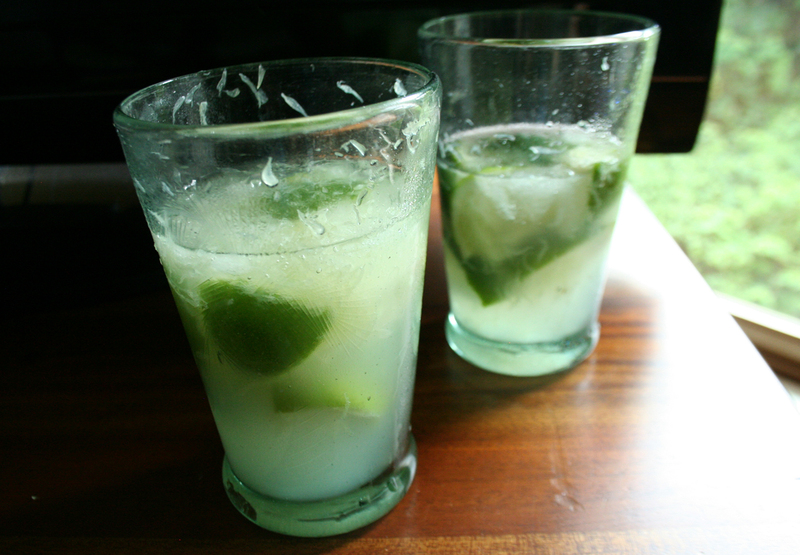 Similar to the mojito or the margarita, the caipirinha reigns supreme in Brazil. 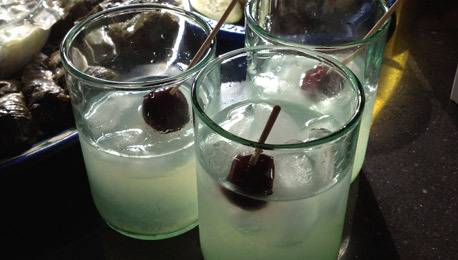 Like the margarita, the caipirinha is a lime sour – mixing spirits with sugar and lime juice. What sets it apart is the main ingredient – cachaça – a distilled spirit that is similar to rum. 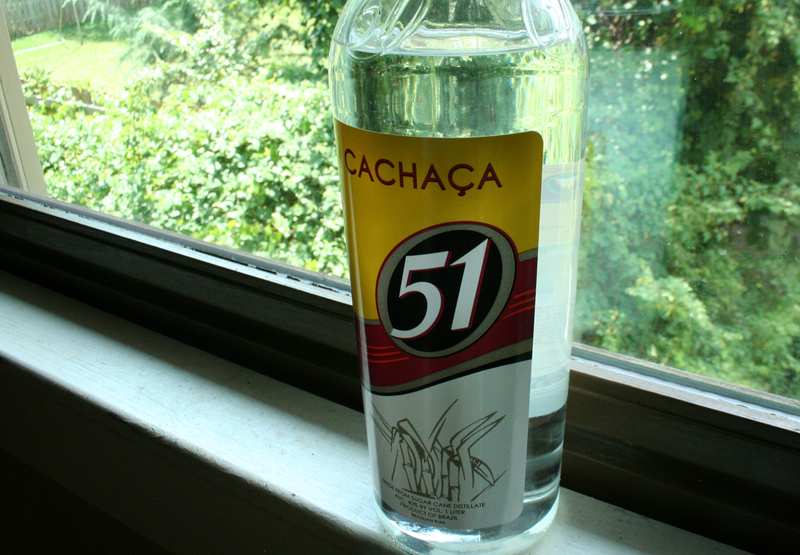 Unlike rum, which is distilled from cane sugar molasses, cachaça is distilled from fermented cane sugar syrup. Made almost exclusively in Brazil, it is now readily available in the U.S. I always use the light cachaça, even though it does come in a dark, aged version as well. Drop the lime wedges into the bottom of a tall cocktail glass. Crush the limes against the bottom of the glass with a muddler or a sturdy wooden spoon to release all of their juices and the oil from the lime peels. Add the simple syrup (or brown sugar) and cachaça. Muddle again to mix with the lime. Add ice and stir to mix. It’s ready to serve! I actually like to top mine off with sparkling water or Club Soda, to give it more fizz. That’s not really “official” but I do think that it makes it more refreshing. If you’re not sure how to SAY Caipirinha (it IS a Portuguese word), just click on this helpful YouTube video. It’s summer and some of the classic tastes of the season derive from our memories of trips to the beach. Fried clams, fresh oysters, shrimp boils, lobster rolls. Seafood evokes the smell of the ocean and the feel of the sun on your face. One such summer treat is the crab cake. Crab cakes are rich and tasty, with the spiciness of Old Bay giving them that traditional American seafood flavor. But have you noticed that crab meat is pricey? Very pricey. At $30 a pound, it is a seldom-made special treat at our house (think 4th of July dinner). On the other hand, a 1-lb. 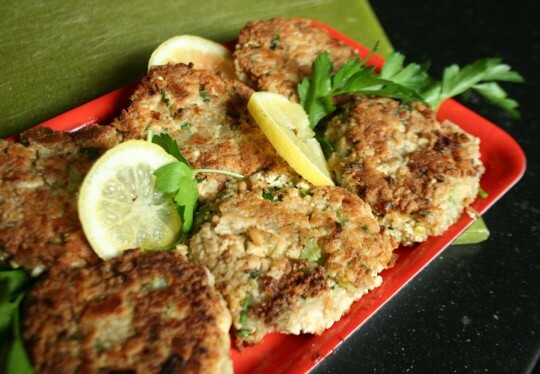 block of tofu only costs $1.50 and can take on all the tastes that make crab cakes so delicious – onion, celery, garlic, parsley, lemon and Old Bay Seasoning. So, for our family, I make a delicious meat-free substitute for crab cakes many times a year – Tofu Crab Cakes (of Tofu “Crab” Cakes).